Canon has released a new version of its Digital Photo Professional (DPP) software. This new version contains quite a few radical changes and new features over its predecessors. 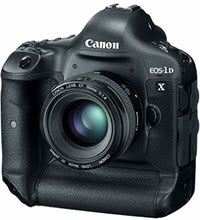 Big disappointment for many will be this new 4.0 version is only compatible with the very latest Canon DSLRs; only the EOS-1D X, EOS-1D C, EOS 5D Mark III and EOS 6D are currently supported! For other models, an update of DPP (3.14) will be released (not yet available, though). For the new camera's the software does offer some great improvements though. Designed and developed from the ground up, the new Digital Photo Professional 4.0 is much faster as it fully utilises the 64-bit architecture of the host system. You can download DPP 4.0 (for free) from Canon Europe's support site. Select your camera - EOS-1D X, EOS-1D C, EOS 5D Mark III or EOS 6D – and select DPP 4.0 from the software options to download. Please note that DPP 4.0 will be compatible only with 64-bit versions of Windows 7, 8, and 8.1 as well as Mac OS X 10.8 and 10.9. Better, more approachable user interfaces. Compatible with 64-bit native environments. Colour adjustments for specific colour gamuts. Improved highlight recovery provides expanded tonality. Auto Lighting Optimizer can be applied to JPEG images. Better integration with EOS Utility. A new colour adjustment palette allows hue, saturation and luminance adjustment for eight individual colour gamuts, enabling the user to adjust one specific colour in isolation without affecting the image as a whole. This is particularly useful when adjusting background tones in portraits, where there might previously have been a risk of giving a colour cast to skin tones, for example. Canon software developers have re-engineered the processing algorithms to increase the freedom in tonal rendering. By adjusting highlights, it is now possible to reproduce tones such as those in clouds and peoples’ faces that would previously have appeared washed out. For those photographers with dual monitors, DPP 4.0 allows a secondary monitor to be used as the preview window on the primary display. While the main monitor can be used to perform delicate adjustments, a secondary image window for images can be used as a magnifier for closer inspection of part of an image. With the launch of DDP 4.0 comes an updated EOS Utility 3 and the two pieces of software now offer better integration. The introduction of EOS Utility 3 makes it is possible to trigger the camera direct from the DPP tool palette as well as access to all the rest of the EOS Utility remote shooting functions without the need to start a separate application, thus enabling a more streamlined and integrated workflow.